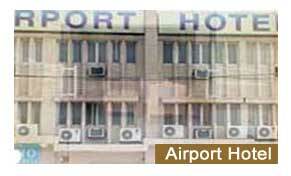 Hotel Airport Inn is definitely one of the best choices in hand for all budget conscious travelers on a trip to Delhi. This newly constructed hotel has already made a place for itself amongst all Budget Hotels in New Delhi on account of all that it has on offer for its visitors. One of its greatest selling points is its serene ambience away from the hustle and bustle that is generally linked with the capital city. A stay here will be very comfortable and yet not too heavy on the pockets. Give it a try the next time you are planning a trip to Delhi and we assure you that you will not be disappointed. Apart from the presence of the aforementioned amenities what makes a stay in these rooms all the more comfortable is the attentive room service provided by the efficient and ever courteous staff of the hotel. They are always willing to run errands for you and make your stay pleasurable in every respect. From morning 11 to night 11, the expert chef of Airport Inn churns delectable Indian and International delicacies. You can enjoy a delicious meal out here at very affordable prices. Here's your chance to tantalize all your taste buds without making a hole in your pockets. Choose from the fine array of Indian, Chinese and Continental dishes and savor them. And do remember that there are beverages on offer as well and they superbly compliment the excellent fare. With the purpose of ensuring a comfortable stay for the visitors, Hotel Airport Inn extends a plethora of basic facilities that include laundry, car parking and others. You can also depend on the travel desk of the hotel to arrange for sight seeing tours to the various tourist attractions of Delhi. Just entrust them with the responsibility and you can be absolutely sure that they will do the needful. As the hotel is located near to some well-liked shopping malls of the city, putting up in it has another added advantage. The guests can easily go for shopping when residing in this hotel. Indiahotelandresort.com provides online information and online booking for Hotel Airport in New Delhi. To make a booking fill up the form given below.